I do agree that Axia owners are lazy. MALAS. Malas to queue up for cheapER petrol whenever the prices suddenly naik. I would LOVE to be malas. But the problem is I can't buy an Axia. I can't fit comfortably in most of Perodua's cars. The last time I drove from KL to JB in a Kelisa, I had cramps all over my body for a WEEK! Let's compare between buying an Axia and a Vios. 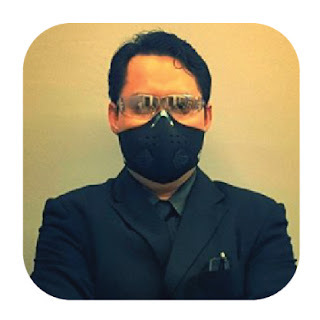 Assume I am a single professional in KL earning RM 5000 per month. Rental for an apartment is RM 1500, food, utilities and other provisions is another RM 1000. I am left with RM 2500. Most Malaysians agree that in Malaysia, having a car is a necessity instead of a luxury. Its quite difficult to get around with the current public transport system. I'll use iMoney's loan comparison as a guide. 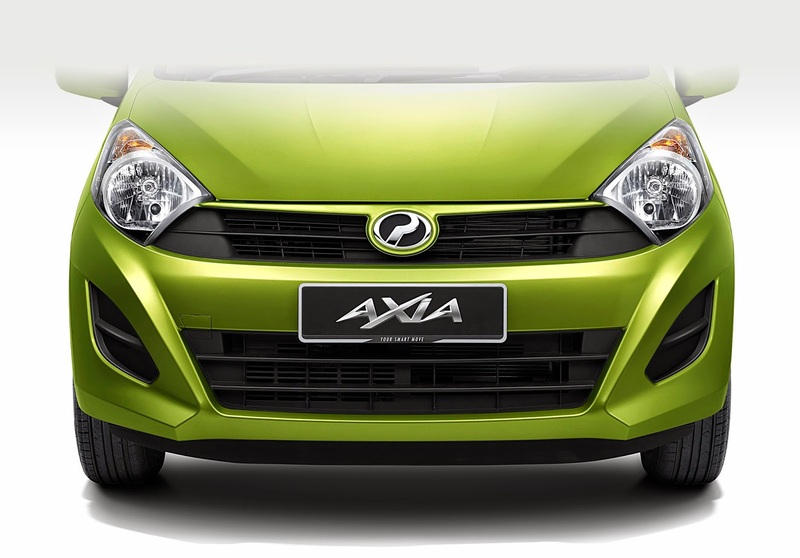 If I drive an Axia, I can save RM 1,600 into my savings account per month. After 24 months, I have enough savings to pay for a down payment of a RM 360,000 apartment. Ridzuan Condominium in Sunway seems like a good buy. Do I stay there myself? No, I rent it out for RM 1,800. 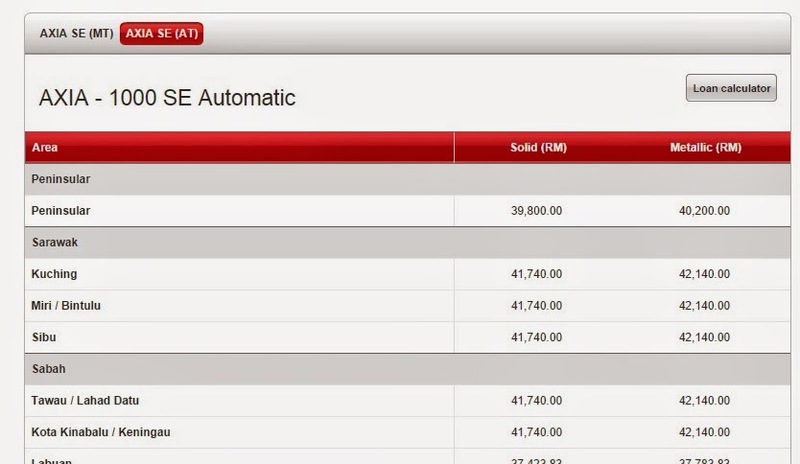 My cash flow (Rent - loan servicing; RM 1,800 - RM 1,520) would be RM 280. Now I am LAZY. I just sit around at home, work as usual and at the end of every month and I get a bit MORE money. I can use that money to either pay off my hire purchase faster or save it to get another apartment. 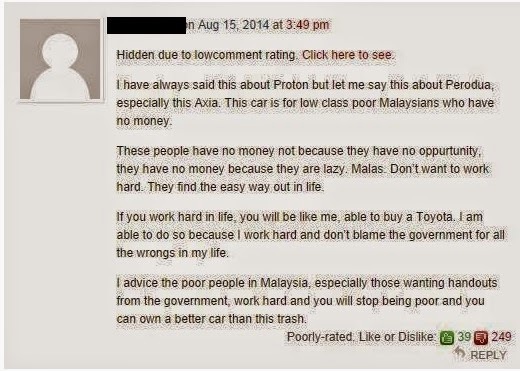 The conclusion is, I CAN be malas when I drive an Axia as I can have a positive cash flow from my investment. A CAR IS NOT AN ASSET. The price won't appreciate and you will have to splurge more money as it gets older. Yes car is not an asset. House can be either your asset or liability. Let's together towards financial literacy and become sophisticated investor.